I have been offered a lot for my work, but never everything. 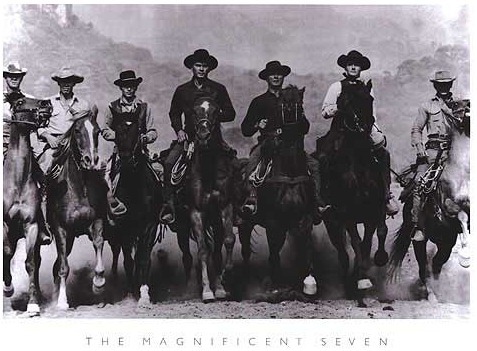 Chris Adams – Yul Brynner (The Magnificent Seven). I have spent a fair amount of time reflecting on course design and why the gradebook is somewhat of a late bloomer, in terms of Moodle core features and its use by moodlers (if at all). I don’t mean to harp on about how great a moodle gradebook can be, but if you agree and you do think there is something in ‘gradebook inspired Moodle course design’ then here seven course design tips for you to consider. Start with the end in mind. Consider what change you will have impacted upon your students by the end of the course and perhaps even more importantly, how will you know? Think about a completed course, what will it look like? Sketch it out on paper or using a mapping tool highlighting the key outcomes or assessments opportunities. With the course blueprint in mind, build a framework in the gradebook using grade categories knowing you will now be able to allocate the assessed activities and assignments to the appropriate grade category. Keep the building blocks of the course design down to a manageable number, otherwise, like the course, the gradebook will become unmanageable. For example four short courses, rather than an academic years worth rammed into one course. Keep assignment names short, it keep the gradebook neat. Eg Homework Task – Capital Cities Around the World might be CCAW or Capitals. How will learning be measured? What are the assessments opportunities, for both learner engagement and administration. Where and how can Moodle accelerate learning? Make best use of self, peer and automated assessment (quizzes) and the use of dynamic content (RSS), collaboration, chats (quizzes). Learn how to create your first outcome and scale. You do not have to use them, so have a go and experiment. Now, rest assured you efforts will be worthwhile, as the gradeook will manage your submissions, deadlines and return your feedback. Nice. Schedule ‘air blocks’ into the course. Opportunities to allow learners to catch up, for revision, to retake quizzes, for diversion or even self directed learning. Design the learning pathway(s). How will the learn progress through the categories and order the gradebook. With your gradebook built, your categories ordered, your course frame built, apply the do’s and don’ts of course design, and focus on designing great learning assets and engaging learning pathways. Investigate alternative course formats, HTML block as menus, collapsed courses. Communicate visually, (create an icon repository), use an icon set as a signpost learner – possibly through a shared in a repository. Use mouse-overs to communicate with the user or reveal new content. Promote communication between students using forum, the comments block and messages. Encourage comments on blog entries. Bring in live feeds via RSS or use the random glossary entry. Share feedback via the course completion block or the quiz block. Prompt action and organisation using the calendar, upcoming events or by showing recent events. Don’t over egg the conditional formatting tool. Remember we want to encourage self-directed learning. Look for alternatives to text flow, for example mp3s (Myna), flowcharts, mind maps (ekpenso 1.9) YouTube, (flipped teaching), Voicethreads, Vokis and more. Previous: Previous post: On or Offline? I do enjoy the way you have presented this particular situation.